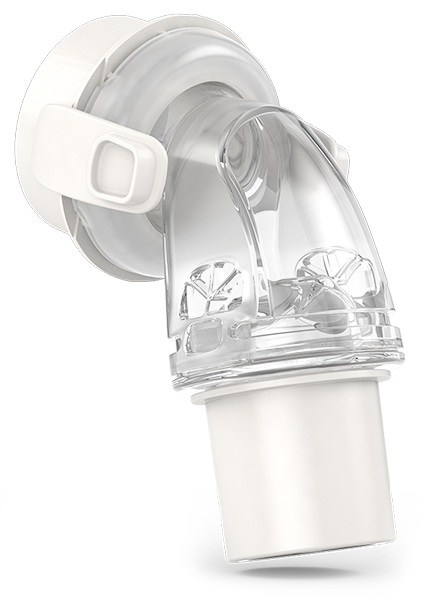 ResMed's AirFit F30 Full Face Mask improves user comfort with a sleek, lightweight frame that creates an open field of vision; and a minimalist cushion that rests below the nose to reduce facial contact, irritation and pressure points. AirFit F30 includes highly adjustable plush headgear that adapts to a wide range of sleep therapy users. 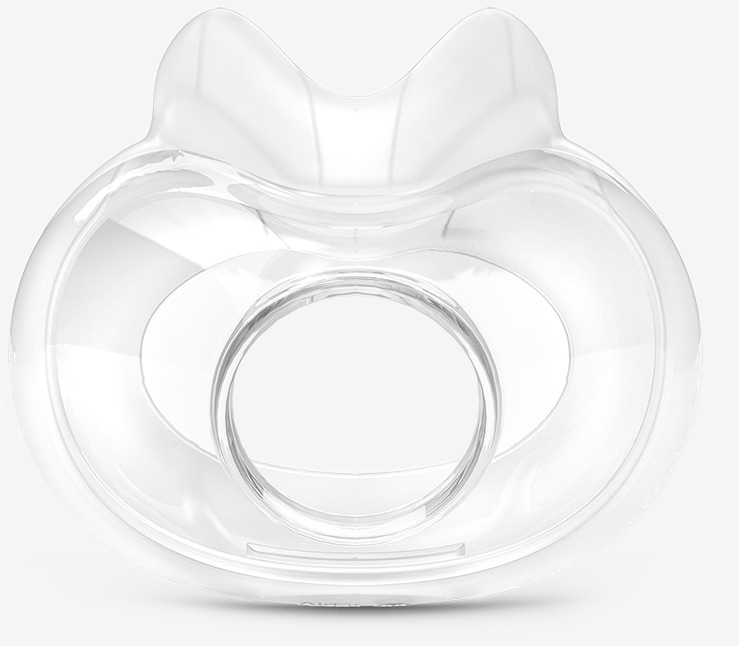 The AirFit F30 CPAP Mask is one of the quietest and lightest full face masks on the market with a minimalist look and feel designed for modern sleep therapy users. Made of advanced ultra-light materials the F30 mask feels light on the face; and highly adaptive cushions and headgear provide an easy custom fit. The UltraCompact F30 Full Face Cushion's innovative, minimal contact design sits below the nose -- covering just the mouth and the nostrils -- to reduce contact with the face and eliminate problematic touch-points like the nasal bridge and upper cheeks. The low profile design helps reduce the pinching and red marks common to many full face mask designs; but it's also perfect for people who wear glasses or like to read at night. It can even help reduce feelings of claustrophobia. PLUSH FABRIC HEADGEAR & MAGNETIC CLIPSPlush fabric headgear, specifically designed for extra softness and stability, is included with all F30 masks. Rolled-edge fabric straps on the headgear are designed to be worn loosely so the UltraCompact cushion can adapt to your individual facial contours without excessive pressure. Magnetic clips on the lower straps guide the headgear into the frame so it is quick and easy to put on and take off. All AirFit F30 masks come with Standard Headgear with blue highlights. AirFit F30 features ResMed's QuietAir Elbow with almost silent air dispersion and a more gentle exhaust airflow than ever before so everyone can enjoy a quiet, comfortable night's sleep. F30's elbow also features quick release squeeze-tabs so it's easy to detach with one hand at night; and it rotates 360° with an independent tube swivel to reduce tubing drag and resistance.